A straight smile is important to many dental patients; however, an uneven bite, crowding, and other issues impact not just aesthetics but oral health as well. At New Age Dentistry, we offer Invisalign clear aligners in San Ramon as an effective and comprehensive method to straighten your smile. As a preferred provider, Dr. Sherry Steinmetz is dedicated to creating the smiles patients deserve with Invisalign treatment. Contact our dental practice today to schedule a consultation! Invisalign orthodontics go beyond simply providing an aesthetically pleasing alternative to metal braces. Invisalign aligners offer a versatile solution to a number of alignment issues, ranging from minor relapse to overbites and underbites. Your appliances are not bonded to each individual tooth, compared to traditional braces. Unlike conventional braces, Invisalign orthodontics use a series of clear, removable aligning trays to gradually shift your teeth into the correct position. As the trays are made of a smooth thermoplastic, patients don’t need to worry about potentially uncomfortable metal wires. Since the trays are custom-molded to fit your smile, patients find Invisalign® to be a comfortable method of achieving straighter teeth. The removable aligners put patients in charge of their care. Rather than having to visit our dental office for weekly tightening of wires, Invisalign patients are given several trays at their monthly appointments. These trays are changed by the patient at home in accordance with their treatment plan. This also ensures easy maintenance is incorporated into your daily oral hygiene routine. For many adults, the idea of wearing metal braces can deter them from pursuing a straighter smile. As Invisalign braces are virtually invisible, many adult patients have found this system to be an effective solution for improving their smiles without compromising their appearance during treatment. At New Age Dentistry, our team is dedicated to helping each patient achieve their ideal smile through dental care that works in harmony with their oral health. In order to achieve the best results, Invisalign braces require greater patient involvement than other orthodontic treatment plans; however, many adult patients have found Invisalign® to be well worth the commitment. 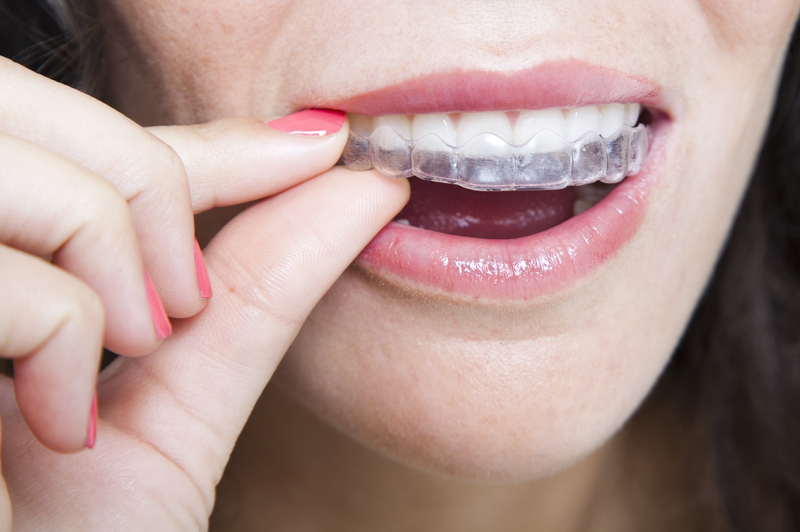 Achieving a straighter smile can be as simple as wearing a transparent aligner. For more information about Invisalign braces in San Ramon, contact New Age Dentistry to schedule your clear braces consultation with Dr. Steinmetz.